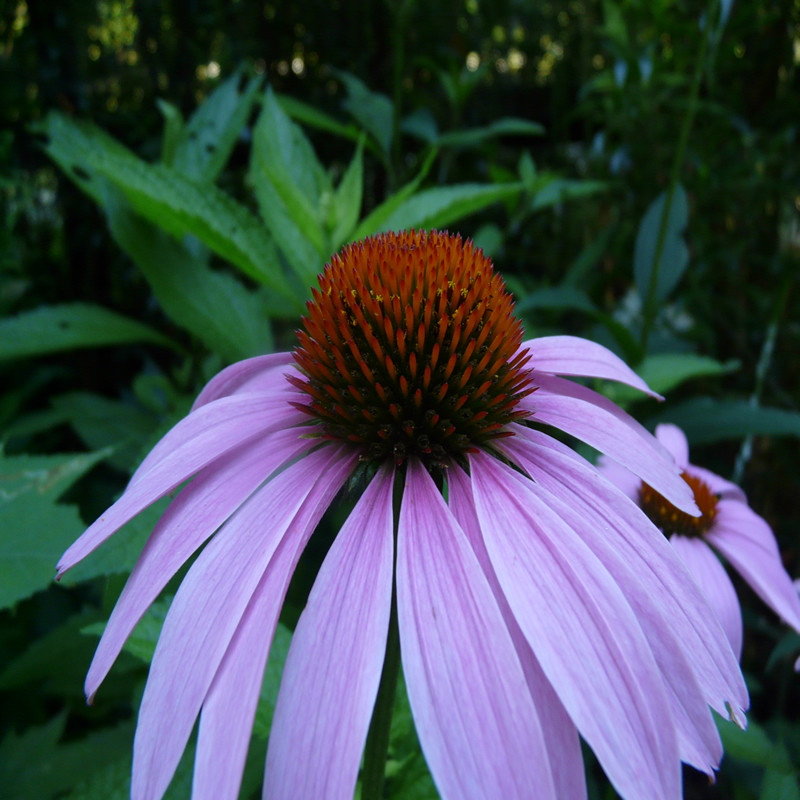 Echinacea purpurea is more than a popular perennial. This prominent member of the Aster family inhabits meadows across a majority of the eastern half of the United States. Being native from New York south to Florida, and west to Colorado and Texas, this perennial is hardy in zones 3-8. The genus “echino” comes from the Greek word meaning hedgehog, directly describing the spiny center disk. Surrounding the central disk of this flower are the beautiful drooping purple ray flowers. The most robust plants grow in full sun, but they can withstand part shade as well. Dry, well-drained sandy soil is where Echinacea purpurea will be best suited. Reaching 3-5 feet in height, while spreading 1.5 to 2 feet, this perennial adds color all summer long as it continues to bloom June through August if deadheaded. The seed heads left at the end of the blooming season will allow for additional plants to self seed into your garden, create winter interest, and act as a great food source for seed-eating birds such as goldfinches.